US industrial designer and a graduate of Alfred University in ceramic design. He served on bombing missions in WWII in the "Mighty" 8th Air Force in England. One of Eastman Kodak's first industrial designers, starting in 1945, he designed many products for Kodak, including the Instamatic M-6 movie camera in 1965. He became manager of the group when Ted Clement resigned in the early 1960s. 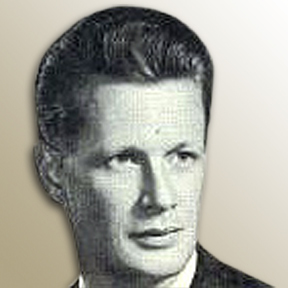 An active member of IDSA, he was awarded IDSA Fellowship in 1972. He retired in 1980.